In this newest and latest reveal of the FBI’s Strzok-Page text messaging, a disturbing truth has been revealed. Peter Strzok and Lisa Page engaged in leaking to the press information that was created to be damaging to President Donald Trump. There is no other conclusion that can be drawn when the contents and timing of these texts are examined. Read this report and judge for yourself. This week Rep. Mark Meadows (R-NC) released new text messages between former FBI employee Peter Strzok and Lisa Page, showing that the two colluded together in a strategic media release to damage President Trump. Leaks from any law enforcement to the media can be detrimental to a criminal case. Law enforcement relies heavily on testimony from witnesses and any tangible evidence that can further the prosecution of an individual. However, when information is given to the press a public opinion will be formed and the likelihood of a fair trial is diminished. Meadows released text messages that show Strzok had nothing on Trump and he knew it. Strzok texted Page to discuss a “media leak strategy.” His comment is exhibit number one describing that there is no evidence of collusion, but he needed something to drive down public opinion. Therefore, calculated media leaks occurred to legacy media outlets. In this case, the leaks were lies. The importance of Strzok’s position in the FBI cannot be understated. He was the deputy director of counterintelligence and lying to left-wing media outlets because he knew they would run with the story. Strzok was overtly attempting a soft coup using news publications. The media and Strzok are the colluders, not Trump. 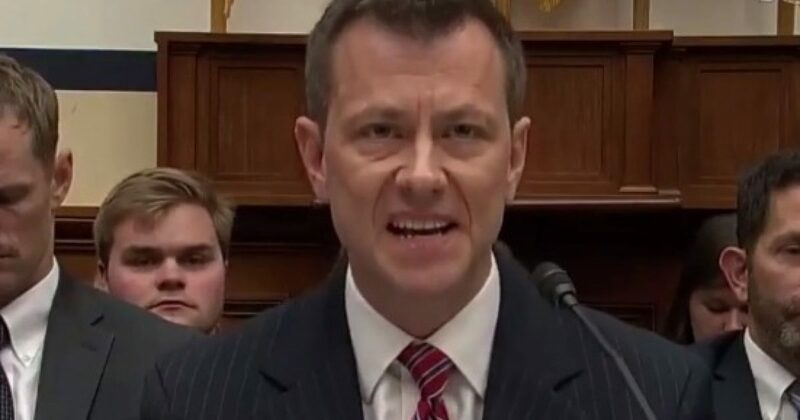 Regardless of what Strzok believes it is not his job to give information to the press in an attempt to undo the will of American voters. Politics was not intended to be in the FBI. The agency was not created to interfere in American elections, but to investigate organized crime rings and other professional….